COLLABORATORS: Joseph Morse, UC Riverside; and Manuel Jiminez, UCCE Tulare Co. 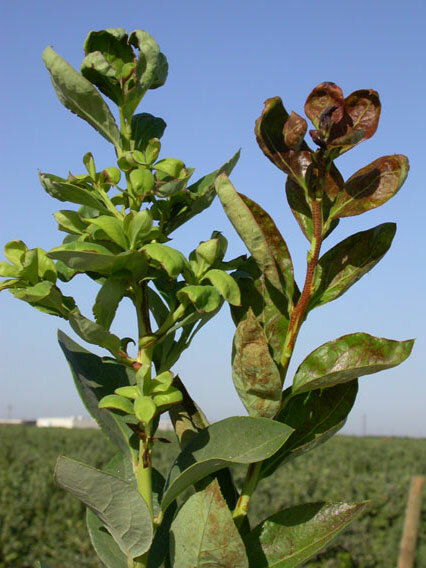 The development of heat-tolerant varieties of blueberries has allowed for the establishment of a California blueberry industry. However, the planting of blueberries near citrus (which previously was never done) has led to a new problem, citrus thrips. Citrus thrips feed on the new flush growth of blueberry plants. This causes stunting which is thought to decrease the quality of fruiting wood, and likely yield and quality of fruit. To combat this pest, growers spray pesticides on a seven- to ten-day cycle for a period of about four months. This project was proposed to fix the problem by learning about pest biology and how it impacts the crop, while at the same time evaluating different monitoring programs and control options. During the first year of this project (2006) we were able to identify May through early October as the period when citrus thrips are present in the blueberry canopy, and that thrips densities peak in July and August. Sampling sizes of 10 beat samples have been established as a reliable method for monitoring. 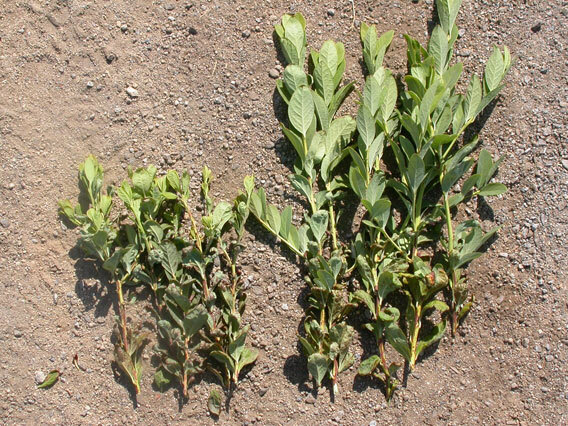 We have data on the relative susceptibilities of major blueberry varieties to thrips damage, data on the effectiveness of 14 insecticides, and data justifying further work on high pressure water as an alternative to pesticides. Data supporting these conclusions can be found in the year one progress to the UC IPM program linked below.